As a nation of relative prosperity, safety and stability in Central America, Costa Rica has long attracted large numbers of migrants from the region. In recent years, it has drawn a growing influx from several Caribbean countries as well as from Africa and Asia, including some 22,000 Cubans seeking a route to the United States in 2015. The more than 400,000 immigrants residing in Costa Rica make up nearly ten percent of the country’s population. It should not be surprising that immigration issues are taking on increasing political and economic importance and posing new foreign policy challenges for Costa Rica within Central America and with the United States, Mexico, Cuba, and other nations. 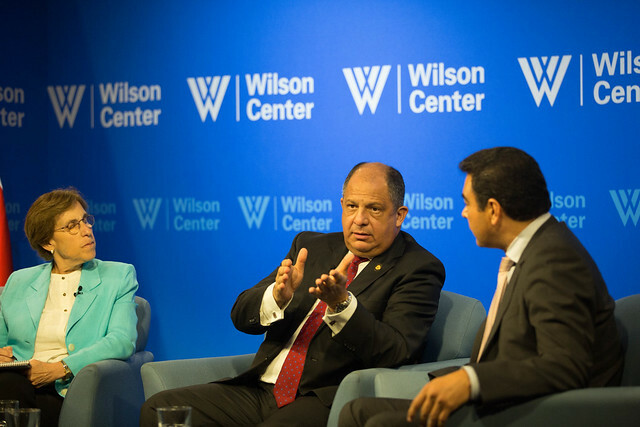 In an event featuring Costa Rican President Luis Guillermo Solís and moderated by Cynthia Arnson of the Latin American Program and Manuel Orozco of the Inter-American Dialogue, Solís addressed the growing political and economic impacts of undocumented migrants in Costa Rica. In addition to migration, Solís touched on a broad number of issues concerning Costa Rican politics and foreign relations. For your convenience we have included below an annotated guide to the President’s presentation.